Each state has different requirements to sit for the CPA exam and receive a license. Many states have mandate similar education qualifications, but there isn’t a consistent rule that all states follow. This is primarily because the federal government has never controlled the Certified Public Accountant designation. Each state appoints its own board of accountancy that is responsible for determining the qualifications needed to become a CPA. For instance, the California board might not agree with what the Oregon board allows for its applicants. California is free to make its own rules. Obviously, each state’s rules are detailed and somewhat complex. You should research and apply to take the test in the state that you are planning to work in. This ensures you’ll be able to successfully get your license. I went through and summarized every state’s requirements to sit for the exam, obtain a license, and the application process in general. 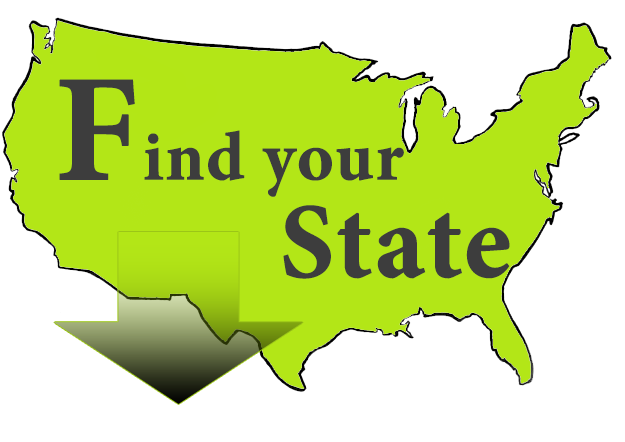 Check out your state to make sure you are meeting all of the requirements. Good luck! There are three main areas of qualifications that all states analyze before you can take the exam or apply for a license. Many states mandate minimum age limits and residency rules. Only a few states allow you to take the exam without a valid social security number. All states have specific education rules that govern who can sit and get licensed. All states require at least a bachelor’s degree along with 120 college credit hours. Most states, however, are moving to the new standard of 150 semester hours to take the exam and obtain a license. Every state also has some type of work experience program that candidates must fulfill before they will be granted the unlimited title of CPA.